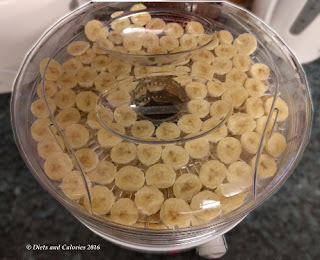 About two years ago I received a dehydrating machine. It sat on top of the kitchen cupboard for around 18 months before I finally took the plunge and ventured into the world of food dehydration. 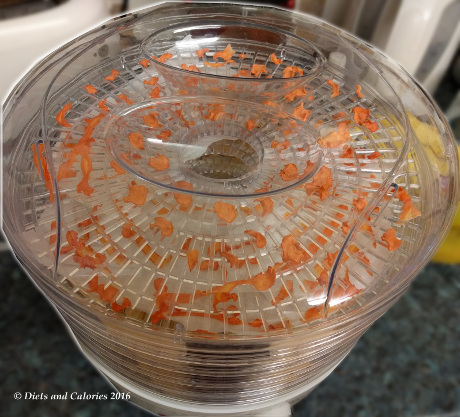 Dehydrating my own food is not something that ever crossed my mind. Living in London with a supermarket on every street corner, a matchbox sized garden and no home grown veg to speak of, why bother? 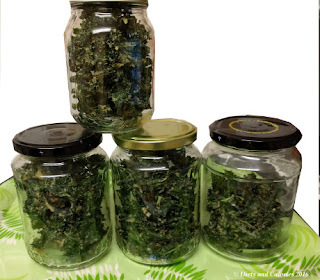 But with the popularity of snacks like kale crisps, which are such a tasty and healthy alternative to regular crisps, I wanted to have a go at making them myself while hopefully saving some money. 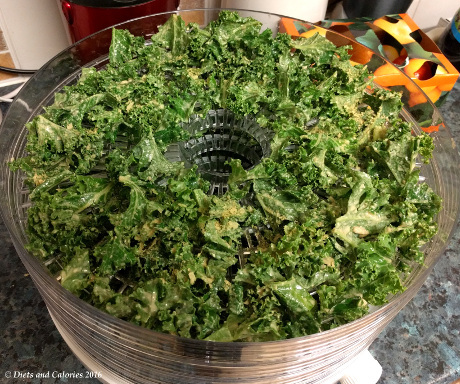 If you've ever bought Kale crisps you'll know how costly they can be. Since my first batch of home-made kale crisps made in the oven failed miserably, I decided to give the dehydrator a go. It came with no instructions whatsoever. Just a round plastic machine with lots of stackable trays and some dials on the front. Rather than blindly fill it up with vegetables, I needed instructions and recipes. This led me to investing in a wonderful book which got me completely hooked on dehydrating… for about 6 months. The novelty has worn off a bit since my initial enthusiasm, but I still use it from time to time and the results are well worth the effort. I’m a snacker. I have to know I have something to crunch on, nearby, when the need arises. 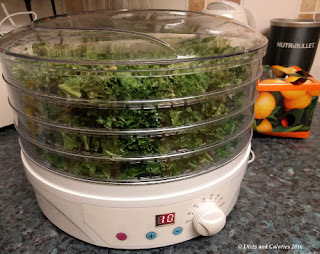 So making kale crisps seemed like a good place to start. 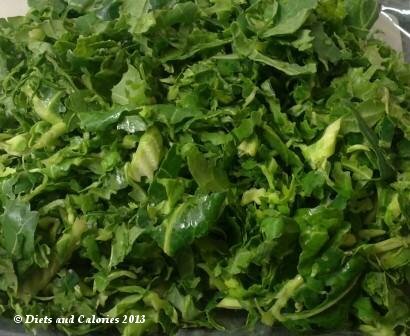 Supermarkets sell big bags of kale, some are washed, some not. The preparation takes some time. 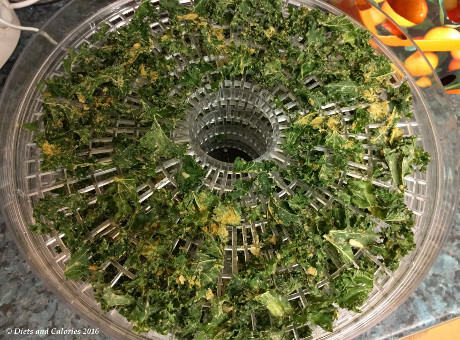 You need to wash the kale and make sure it’s really dry. Then you need to get rid of all the stalky bits so you just have the leaves. Next decide what flavour you want your kale crisps to be. Fortunately there are tons of recipes online. Just search for 'kale crisps recipes' and take your pick. My favourite is a mixture of tahini, nutritional yeast and soy sauce or tamari. You have to rub the mixture all over the leaves then place them on the dehydrating sheets. I leave mine overnight, for a total of around 14 hours. 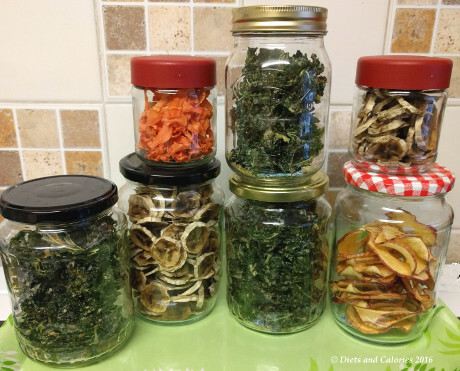 I then fill up various jars and store them in the cupboard. The thing is, they’re so tasty, they don’t last long. My kids love them too. 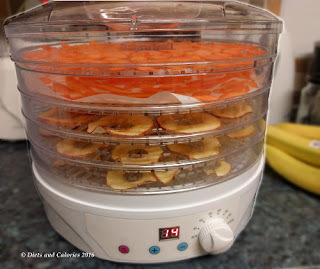 I’ve since made banana chips, carrot crisps, beetroot crisps, apple crisps (with cinnamon, yum) and sweet potato crisps. This is all great and you do get a sense of well being, knowing this is all home made stuff. But you really need to have lots of spare time or at least make it a priority, otherwise, it seems too much effort. Sometimes it’s just easier to buy a ready made packet. Then I feel annoyed at the price I've paid and start making them again! If you do like vegetable crisps, I’d really recommend having a go. They’re healthy, low calorie and so much cheaper than shop bought. Dehydrating on a low temperature means nutrients are preserved and you can bring your dehydrated veg back to life again simply by cooking them. The book below is the one I purchased to get me started on dehydrating. It contains everything the novice needs to know about dehydrating and has so many recipes that you can't wait to get started. 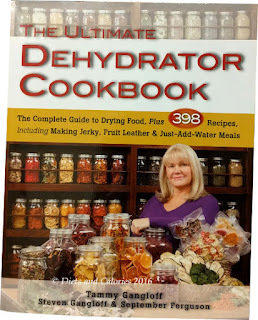 It's truly inspirational and will encourage you to try out lots of recipes you'd never thought of. 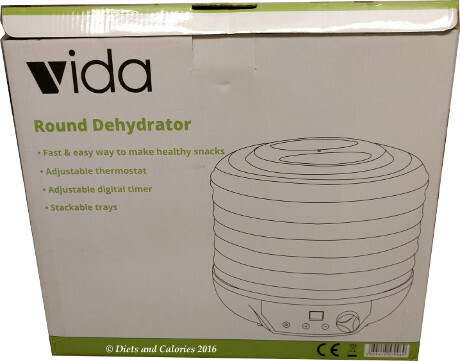 Also shown below is my dehydrating machine. They're quite big, well they are if you have a small kitchen, so I have to store mine on top of a cupboard. It's easy to clean, simple to use, and doesn't cost much.